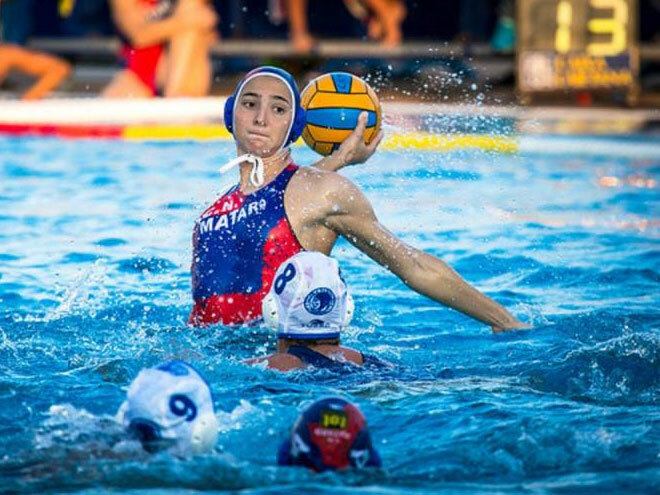 Roser Tarragó, one of the nine Catalan players of the Spain women’s water polo team that won the gold medal at the 2013 FINA World Aquatics Championships, closed her Twitter account (@rutarrago) on August 5, 2013 after being bullied for showing a Catalan separatist flag on her Twitter profile. On Sunday, after winning the gold medal with the Spanish team in Barcelona, Tarragó received the corresponding congratulations. But soon some websites, such as eleconomista.es, noticed she was showing a Catalan separatist flag made with typographical characters ||*|| on her Twitter handle and a picture wearing the Catalan team suit instead of the Spanish one. She then became the target of a barrage of disparaging comments through the social network. The region of Catalonia has long had a movement for independence from Spain, but in recent years it has seen a surge of support. Netizens supported Tarragó with hashtags #totssomrosertarrago (we all are Roser Tarragó) and #totsambrosertarrago (everybody with Roser Tarragó). Among the comments written below the article [es], some called her names, such as ”son of the b****”, “stupid”, “scum” or “mercenary”. Other comments, like one signed by a reader identified as “Spanish” which was marked by other readers with 186 negative votes, claim that she shouldn’t have been admitted into the Spanish team because she feels Catalan.